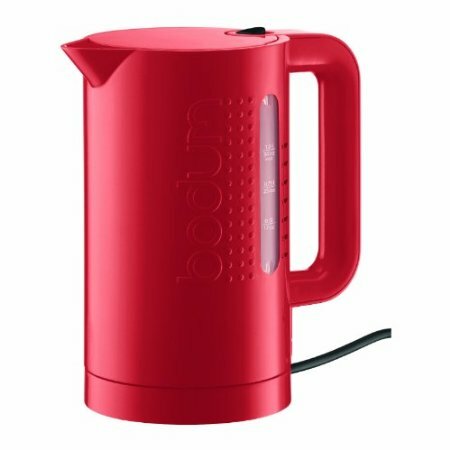 This electric water kettle comes in black, white or lemon green and can boil up to 34 Oz. of water. It automatically goes off when your water begins boiling so that the water does not bubble out and you save on energy consumption. It has a level indicator on the side that you can easily see where your water has reached. Electric teapots and tea kettles are always changing as we come up with new manufacturing techniques and materials that allow us to push the limits of design. Nonetheless, there are still those products that will always come out far ahead of their competition. Below are the top 10 electric teapots and tea kettles you can consider. The above ten electric tea kettles are the crème de la crème of kettles in the market today. If you are gunning for the best, it is definitely in the above list. Whether you are looking to buy an electric kettle or a teapot, whether you want to compare various brands or even when you want to see which model from one specific manufacturer is the best, the TheTeaSupply.com reviews will get you to the most viable conclusions. Check out all the tea product reviews from the TheTeaSupply.com!